Can the Chinese dictatorship survive another quarter of a century? 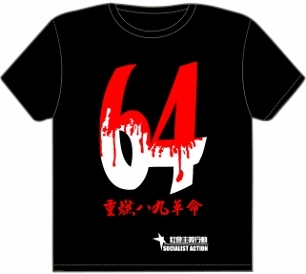 June 4th marks the 25th anniversary of the bloody massacre in Beijing that ended the mass student-led democracy movement which came close to toppling the Chinese dictatorship. 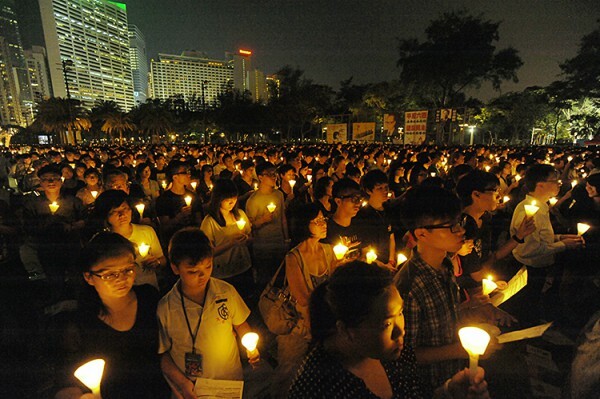 This year on the night of June 4, hundreds of thousands will fill Hong Kong’s Victoria Park for the city’s annual commemoration of these events. Less than one hour’s train ride away, however, in mainland China, no protests will be tolerated and all mention of the 1989 movement has been erased from the media and internet. As Chen Mo explained in our book Seven Weeks That Shook the World (chinaworker.info 2009) “It is almost as if ‘89’, ‘June 4th’ and the ‘Tiananmen Incident’ never happened, and the subsequent generations have unfortunately been given amnesia-at-birth.” This book, which includes Stephen Jolly’s excellent ‘Eyewitness in China’, written after participating in these events, can be ordered from chinaworker.info. June 4 in Hong Kong, around 200,000 took part in 2013. Xi Jinping, the current ‘strong man’ heading China’s misnamed ‘communist’ party (CPP), has made clear there will be no political relaxation or ‘democratic reform’ on his watch, but rather a fortification of one-party rule. At the same time, pro-capitalist policies (the early effects of which were an important trigger for the 1989 protests) will continue and accelerate to give the market a ‘decisive role’. In recent weeks there has been a further crackdown on prominent dissidents in China as the regime pre-emptively exorcises the ghosts of the 1989 movement. “The breadth and scope of the crackdown is worrying and definitely an increase from previous years,” noted an Amnesty International spokesman in Hong Kong. The lawyer Pu Zhiqiang, who has represented other dissidents including artist Ai Weiwei, was arrested after a meeting in Beijing to discuss the 1989 movement. Veteran journalist Gao Yu was paraded in prison uniform on state broadcaster CCTV, accused of revealing state secrets, a very serious charge. This latest bout of repression is again aimed at both right and left, with pro-Maoist websites among those closed in recent weeks. In the quarter century since the June 4th massacre, China’s economic growth achieved ‘miracle’ status, and despite its current slowdown is widely tipped to overtake the US as the world’s biggest economy before the end of the decade. The CCP’s model of ‘state capitalist’ development has created more dollar billionaires than anywhere outside the US, most of whom hold strong connections to the dictatorship and even sit in its auxiliary organs. The apparent successes of the CCP regime, after wading through the blood of anti-government protesters in 1989, has produced admirers among the world’s capitalists (even if many governments increasingly view China as a military and economic threat). This has also spawned the theory of “resilient authoritarianism” – a regime that has adapted, co-opted, and imitated, in order to stay in power. 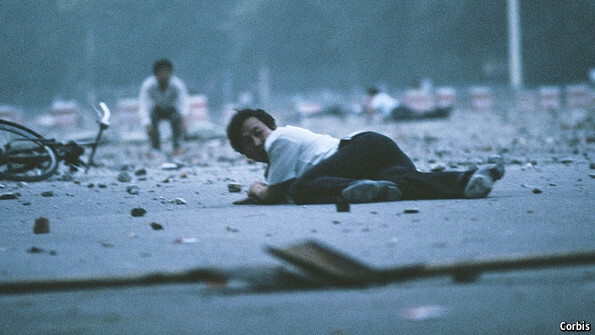 Hundreds or even thousands perished in the military storming of central Beijing. In the months and years immediately after the Beijing massacre, many Chinese dissidents and democracy activists believed the regime was doomed to imminent collapse, like the USSR and other Stalinist one-party states. When this did not transpire the advocates of ‘bourgeois democracy’ in China began to adapt politically to the CCP, seeing ‘compromise’ and ‘gradual change’ as the only realistic strategy and regarding revolution as dangerous, a threat to capitalist interests and ‘stability’. This also describes the flawed approach of Hong Kong’s pro-democracy leaders. In so doing, these layers have moved further and further away from the actual tradition of struggle established by the 1989 movement, which as we socialists explain, posed a revolutionary threat to the dictatorship, albeit without the crucial ingredient of a clear programme and leadership. In the intervening years the capitalists internationally have also rushed to do business with the Chinese dictatorship (despite brief and token sanctions imposed after the massacre) as it opened up to mass-scale sweatshop production on a scale never before seen in history. 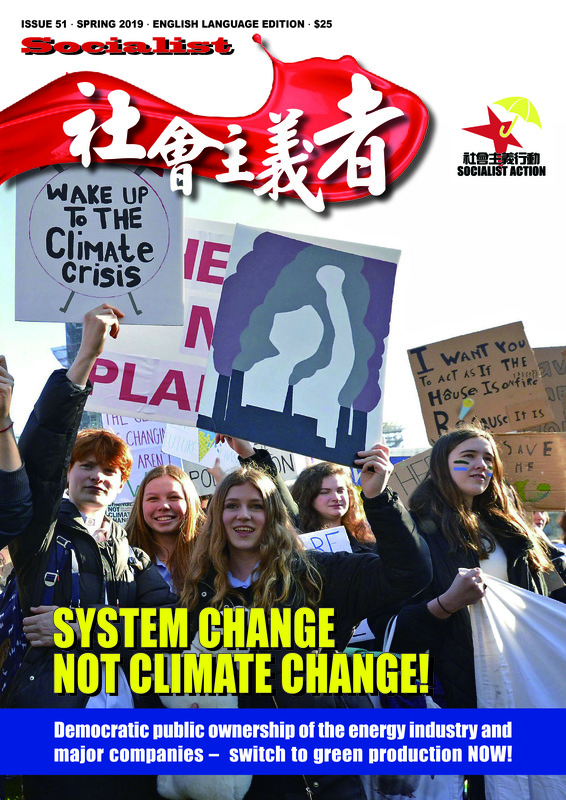 The CCP cashed in on the accelerated globalisation wave of the 1990s and 2000s, placing itself at the centre of the worldwide ‘race to the bottom’ in terms of wages, pensions, social insurance and environmental standards. This was accompanied by measures to separate and break-up the old planning model, while strategic companies remained under state control. World capitalism has rewarded these policies with over US$1 trillion in foreign direct investment over the past quarter century. Rather than weaken the repressive hold of the dictatorship, however, the opposite process has emerged from these capitalist policies. As the Wall Street Journal points out, “Spending on domestic security – from police salaries to surveillance equipment – rose nearly 90% to 769.1 billion yuan (US$123.1 billion) in the six years to 2013, outstripping the amount spent on national defence.” The Chinese state’s internal security bill is now of a similar size to Vietnam’s GDP. The country has nearly 30 million security cameras and 2 million internet police. There is no doubt that the state’s armoury of repression, its censorship of social media and its techniques for demobilising opposition are among the most sophisticated in the world, but ultimately even this will not save the regime. A growing corps of commentators see serious political turbulence ahead as China’s economy heads into a dramatic slowdown, alongside multi-layered risks of a property crash and shadow banking meltdown. A far cry from the economic triumphalism of former leaders, Xi Jinping recently announced that slower GDP growth was the “new normal” – raising concerns that even the official 7.5 percent growth target may be missed. A spokesman for the government’s top economic think tank, the Development Research Centre (DRC), recently warned GDP growth might slow to around 5 per cent in the next two to three years. Pei, like a growing number of commentators, believes the CCP regime is unlikely to survive another 25 years. The increase in state repression and surveillance, while mass protests are also on the rise, is a recipe for explosive social movements in the coming years. At the same time, the sharpening of international tensions and deepening military antagonisms in East Asia can produce new threats to the CCP’s grip on power. It is not sufficient, however, to wish for or predict the demise of the CCP dictatorship; we must build a mass socialist alternative that can influence and solidify coming mass struggles for democracy and against capitalism. This is what the CWI in China, also organised in Hong Kong and Taiwan, is attempting to do today. A crucial part of this task is to draw out the lessons of the mass movement of 1989 as one of the most important struggles in China’s history.